Torpedoed and sunk 3 April 1941 by the German submarine U-74. 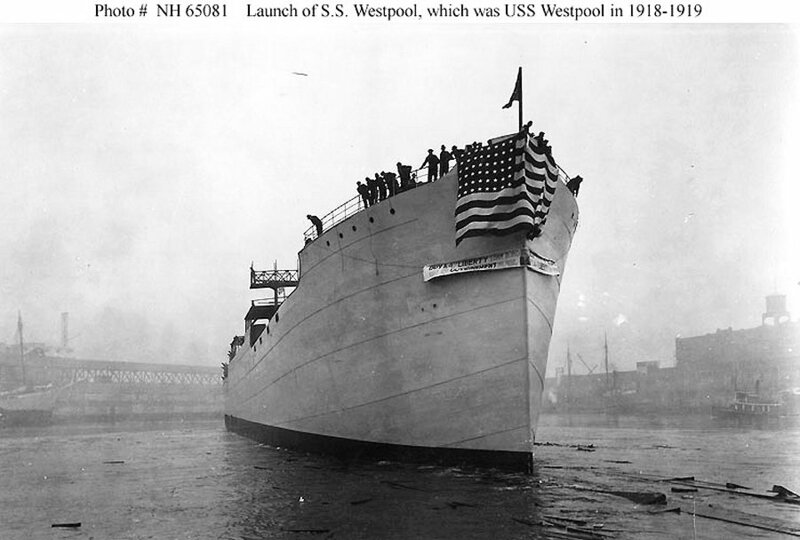 89k Afloat immediately after launching, at the J.F. Duthie and Company shipyard, Seattle, Washington, in 1918. 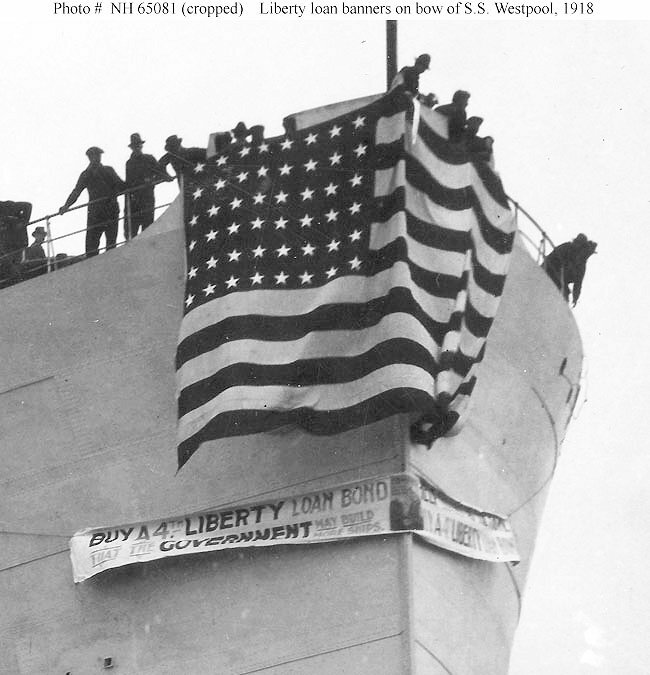 73k Banner reading "Buy a 4th Liberty Loan Bond -- that the Government may build more ships", hung from the bow of S.S. Westpool during her launching at the J.F. Duthie and Company shipyard, Seattle, Washington.